Quite an elaborative Easter Egg can be found in the Frozen Dawn expansion of Call of Duty: WW2. 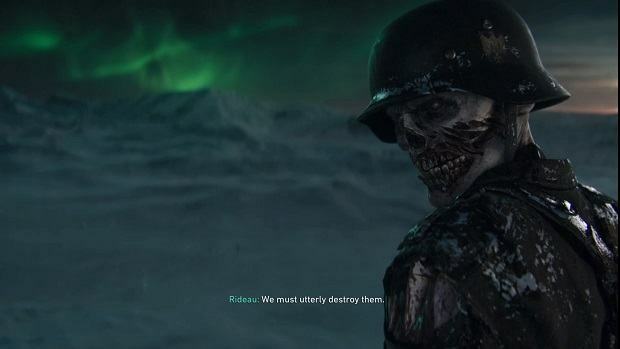 In our Call of Duty: WW2 Frozen Dawn Easter Egg Guide, we will be going through each and every one of them so that you do not have to spend countless time trying to find them. 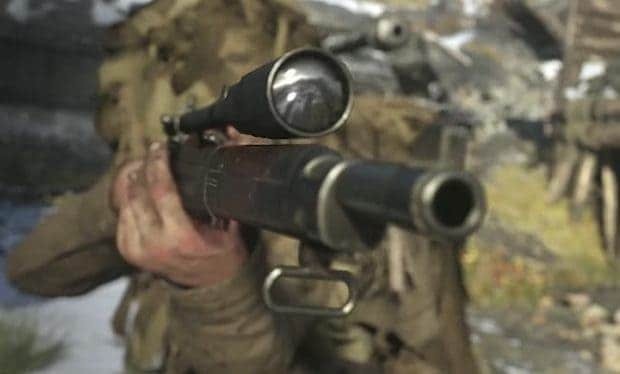 Our Call of Duty: WW2 Frozen Dawn Easter Egg Guide will guide you through exploring the Easter Egg that has been found so far in the Frozen Dawn. The main Easter Egg can be acquired if you upgrade all 4 of the Ravenlord Wonder Weapons. Once you have acquired them, you can put them on a pedestal in the ice caves and then use the elevator to the right to go to the boss fight. Before we look at the other Easter Egg, remember that the Pack-a-Punch machine can be activated at the stone on the wall of the Passageway. After that, use a Thulian Transport to get to the Lost in Blood room and raise the machine from the blood. Do this for all 3 of the Thulian Transports and the machine will be available for your use. To get the Thulian Scythe, activate the Ancient Forge in the Phylactery and survive in that area for some time to get the Thulian Scythe. The Hammer can be acquired by getting the Battery near the Crash Site and getting to the cauldron on the Overlook. After that, get the stones to the right side of Schnellblitz, in the ice caves, near the Kugelblitz (inside a vase) and in the Morgue right behind the armored machine. After that, place the stones across from the battery on the overlook. Here, blood will flow and the runes will glow. Kill a zombie at each of the runes. The hammer will spawn and teleport. Here, shoot the pillars to align the lightning bolts for each of the pillars. After that, follow the hammer to get it. The shield can be found by filling 3 blood pools and then acquiring the Bloodraven Stone found near the bottom of the Morgue. Place the stone in the pool on the Overlook and then fill it up. 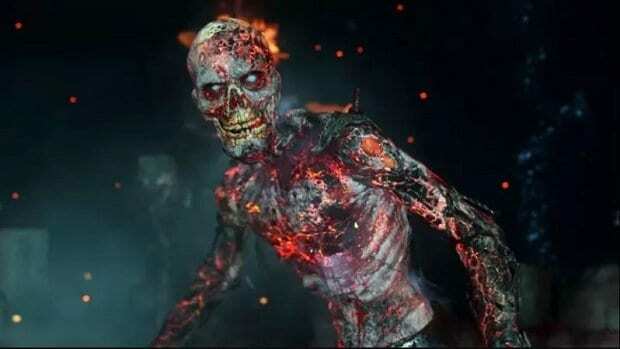 At this point, a Wüstling will spawn in the Blood Altar which will have the Shield. Kill it to grab the Thulian Shield. The flail needs 2 books which can be found at the Blood Altar by the pool and at the Overlook. Then, go to Thulian Archives and place the 2 books near the 3rd one to reveal the Cypher Room. In the Cypher Room, get the 3 cogs around the map and place them in the Gearworks. Follow it by killing zombies and charging it up before aligning each of the Orbs on the Orrery as they are in the Cypher Room. This will spawn the Flail and you will be able to equip it. The Raven’s Claw can be found if you locate a Raven near the Blood Pit on the Overlook and activate it. Then shoot the Ravens on the map which is flying about. Once you have shot enough Ravens, you will be able to see a Raven Statue in the Blood Altar. Repeat this method until 4 statues are there and you can equip the Raven’s Claw. The Vintage MG42 can be found if you in the room with the bodies in the Morgue and share Jolts with the corpse container on the left side. The eyes will glow at which point jolt the corpse again and a skull appears. When you see this skull, shoot at it but only at the blue eyes. Continue to do that until you do not see any skulls appearing. Complete it thrice to receive the Vintage MG42. Use the Thulian Flail to throw a Moon Orb into the room on top of the Orrery and teleport. After that, activate the flail visions and connect the stars until you have the first message. Then, return to the room found on top of the Cipher machine in order to kill some zombies. Fill the Moonraven Blood Pool, and complete the puzzle 3 times. After that, throw a Moon Orb into the Orrery to teleport and complete the trial to get the Talon of Lu’roth. This item can be equipped by meleeing a Corpse Feeder with the Scythe while you have pressed the activate button. Obtain the spine of the feeder and place it on the altar in the Phylactery. After that, grab the wire from the Crash Site and place it on the Spine. Then, place the Scythe on top of it and kill enemies around it for 2 waves before acquiring the Scythe. Here, use the Thulian Transport to navigate to the Deathraven Trial and get the scythe before killing all zombies to get the Fang of An’heist. Find the purple rune at the Crash site and melee it with the Thulian Hammer. The hammer will be charged by now so move to the rune in the Ice Caves and melee it using your hammer to transfer the charge. Do this for the rune in the morgue and then use that rune to get to the Phylactery where you can kill a zombie underneath a Rune Location before the rune transfers. Transfer the charge to a zombie and progress a single round so that the charge is back to your Thulian Hammer. Last, go to the puzzle wall and complete it by making sure all Raven tiles are facing forward and have a purple color. Go to the Overlook at this point and locate the path struck by Lightning. Follow this path while making sure you do not fall down to start the Stormraven Trial and get the Fist of Tal’rek as a reward for completing it. That is all we have for our Call of Duty: WW2 Frozen Dawn Easter Egg Guide. Let us know all that you have missed using the comments section below!